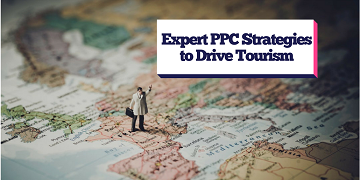 PPC marketing professionals are no stranger to the power of certain keywords. Of course, key generics such as 'online marketing', 'online advertising' and 'online copywriting' are always going to attract a huge degree of interest. But many PPC marketing experts realise that the highest returns on investment can come from highly targeted niche keywords. That certainly proved to be the case for one clever copywriter. Last year, Alex Brownstein, a 28-year-old copywriter at a major ad agency, was in the market for a new job. Whereas most people would simply fire off speculative CVs, Mr Brownstein decided to try something slightly different to show off his understanding of PPC marketing and human nature. So he hit upon the idea of launching niche PPC campaigns that specifically targeted five of New York's top advertising executives. Be honest, do you google yourself? Based on the idea that everybody googles their own name, Mr Brownstein bought PPC ads for the terms "Ian Reichenthal", "David Droga", "Tony Granger", "Gerry Graf" and "Scott Vitrone". For example, the first ad was called "Hey, Ian Reichenthal" and read "Gooogling (sic) yourself is a lot of fun. Hiring me is fun, too."